Charlotte Digges "Lottie" Moon (1840–1912) was a Southern Baptist missionary to China with the Foreign Mission Board who spent nearly forty years living and working there. As a teacher and evangelist, she made many trips into China's interior to share the gospel with women and girls. Charlotte Digges Moon was born December 12, 1840 to affluent parents who were staunch Baptists, Anna Maria Barclay and Edward Harris Moon. She was fourth in a family of five girls and two boys. She grew up on her family's 1,500-acre tobacco plantation called Viewmont, near Scottsville, Virginia. When Moon was thirteen, her father died in a riverboat accident. Little is known of the early life of Rebecca Cox Jackson (1795-1871), a free black woman who became an elder in the Shaker religion, which was founded by Mother Ann Lee just before the Revolutionary War. 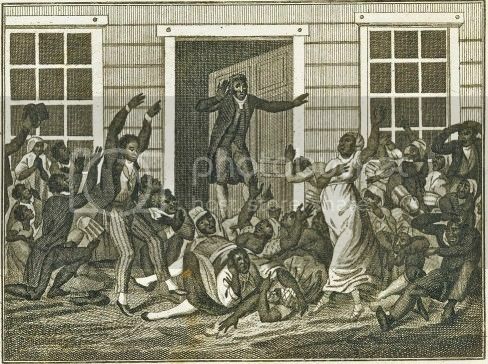 At age 35 Jackson underwent a religious conversion during a thunderstorm, after which she became an itinerant preacher and established a black Shaker community in Philadelphia in 1859. There are no known images of Rebecca Cox Jackson. Rebecca Cox was born on February 15, 1795 to a free family in Hornstown, Pennsylvania and lived until the age of three or four with her grandmother, who died when Rebecca was seven. From the time she was ten, she was responsible for the care of two younger siblings. Rebecca's mother died when she was thirteen, and she was taken in by her brother Joseph Cox, a thirty-one-year old African Methodist Episcopal minister, a widower and father of six children. Jarena Lee was a 19th century African American woman who left behind an eloquent account of her religious experiences, first published as The Life and Religious Experience of Jarena Lee in 1836 and later revised and expanded as Religious Experience and Journal of Mrs. Jarena Lee in 1849. She was also the first woman authorized to preach by Richard Allen, founder of the African Methodist Episcopal Church. Jarena Lee was born on February 11, 1783 in Cape May, New Jersey to free but poor black parents. Because of the economic circumstances of her family, Lee was sent off to work as a live-in servant when she was just seven, "at the distance of about sixty miles from the place of my birth." In the 17th century, the Quakers - also known as the Society of Friends - were a form of Protestant Christianity that was started by George Fox in England in 1652. According to tradition, Fox was standing on Pendle Hill in northwest England when he received a vision from God directing him that instead of simply obeying doctrines and rules, he should focus on the Inner Light—the ability of every person to directly receive God's love. George Fox believed there was no need for ordained ministers and traditional forms of worship, and began to preach this new form of Christianity throughout England. He also added the ideas of pacifism and the rejection of sworn oaths, which, of course, was not to the liking of political authorities. Officials hounded his followers and jailed them for their refusal to take oaths and for not supporting the Church of England.